Golden is an heirloom variety from La Paz, Bolivia. It is notable for its unusually dark foliage. Golden lacks both sweetness and tartness, for a flavor that is very similar to potato. The cooked flesh is dry and moderately firm. The yellow color is retained well in cooking. Golden plants are large and sprawling. The foliage is mottled with purple and is noticeably darker than other varieties in the field. 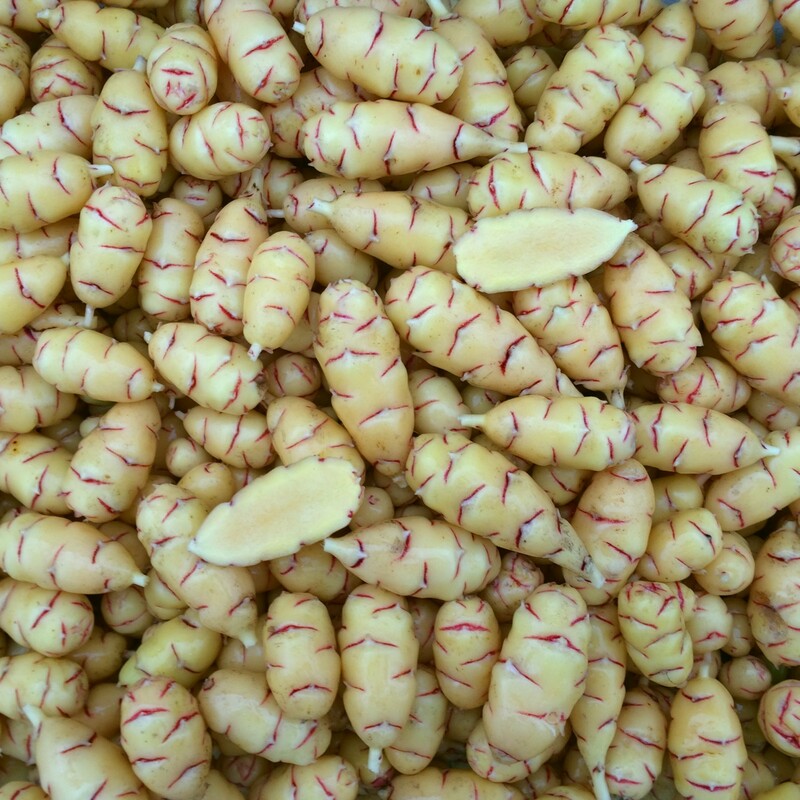 Tubers are produced on stolons of intermediate length and are very uniform. Tuberization photoperiod is about 12 hours, the same as most heirloom varieties. Average yield is about one pound. 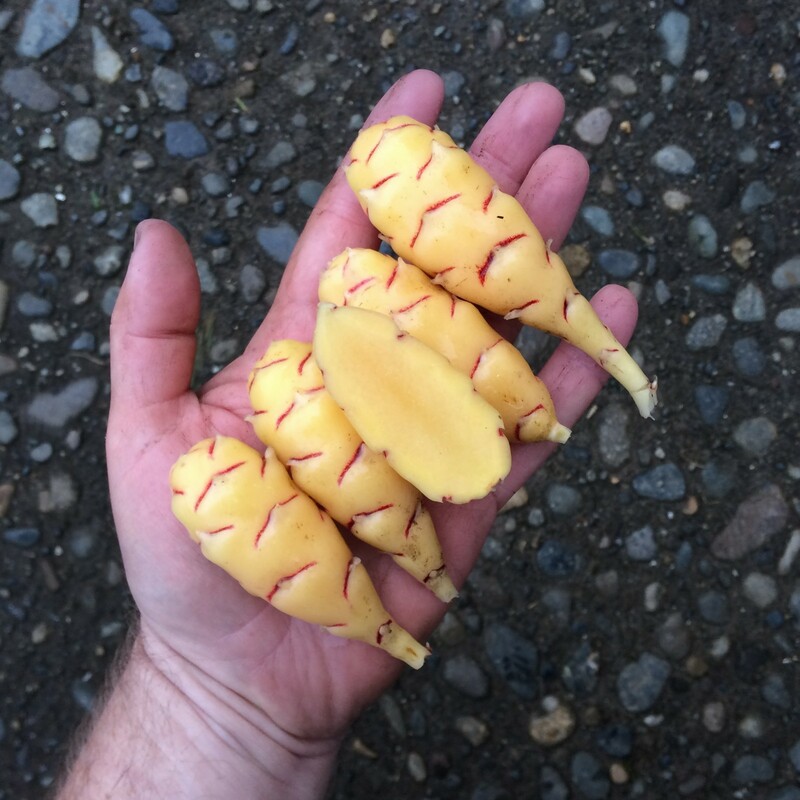 The maximum tuber length is 4.1 inches and the average tuber length is 1.9 inches. Average tuber count is 27. Golden is a moderate flowerer with a short-styled flower, flowering here from July through September.